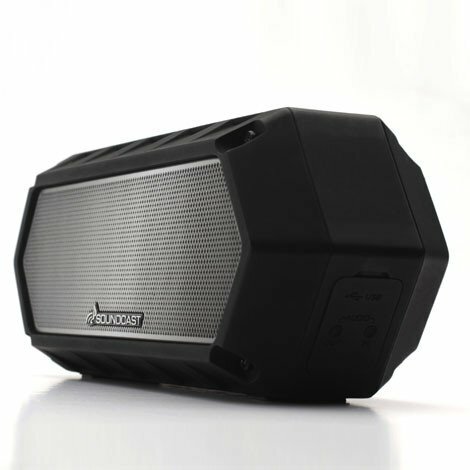 Portable speakers keep getting better, so now you can easily enjoy your music wherever you like. 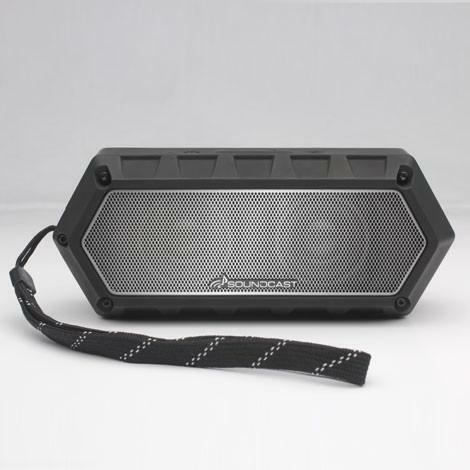 Get several of them and have music with great sound available in any setting, whether it’s an impromptu party or adding music to your boating or camping adventures. 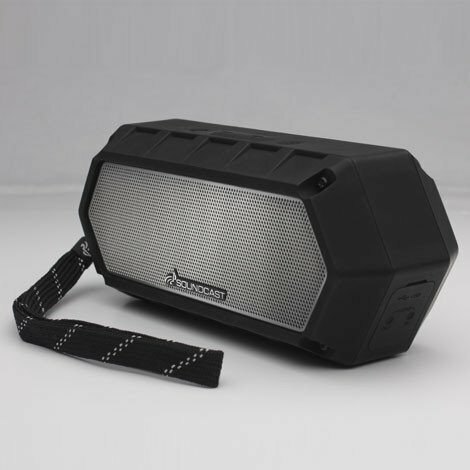 The Soundcast VG1 offers an excellent option with its sleek, stylish and compact design, great sound and waterproof feature. We tested a unit and were immediately impressed with the excellent sound quality booming from this small package. It weighs around a pound and easily fits into you hand. This unit is designed for audiophiles with premium 2” aluminum-cone drivers and rear-firing weighted bass radiator for deep and crisp, full-range sound. If you pair two of them you get legitimate stereo sound with Bluetooth. The VG1 is fully waterproof so you can take it anywhere. It’s perfect for the pool and can handle going into up to 30 feet of water, so it’s pretty much accident-proof and you certainly don’t have to worry about it getting wet in the rain. The VG1 is the perfect gadget to help you start your summer fun!